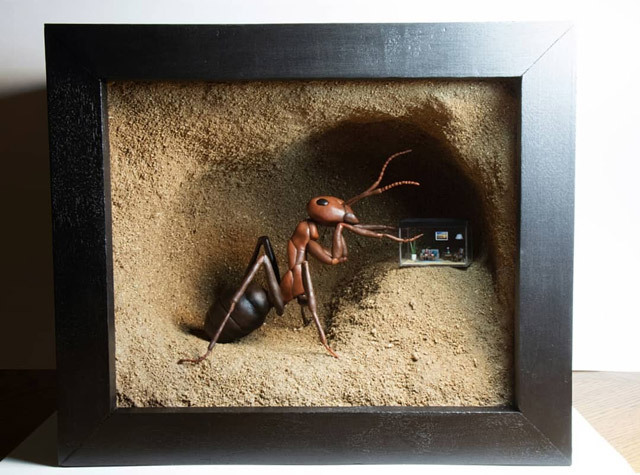 Part of new exhibition of miniature art, Maria Salehi’s diorama features a giant ant with an aquarium habitat for a human smaller than a penny. 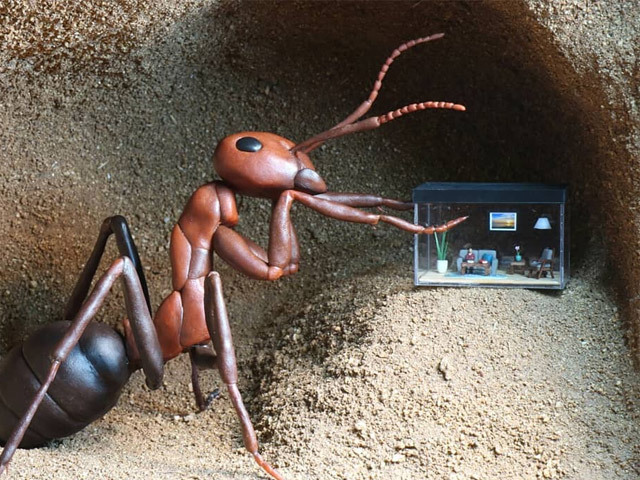 I’m sure we’ll make great pets in the aftermath of the giant atomic ant invasion. 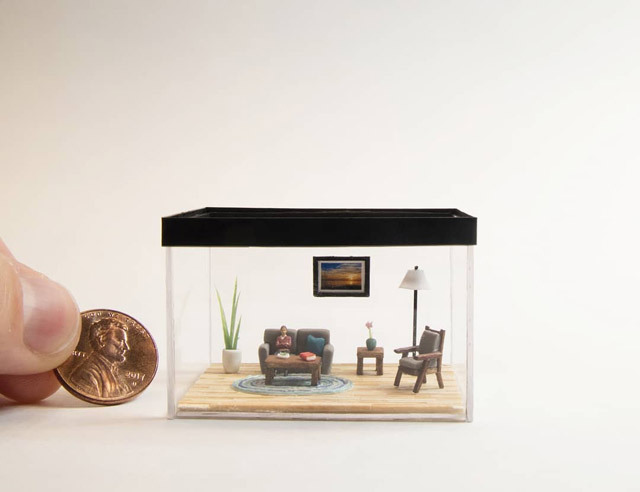 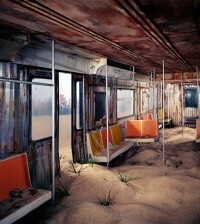 Hopefully our tanks will be as nice as this one in artist Maria Salehi’s latest miniature creation. 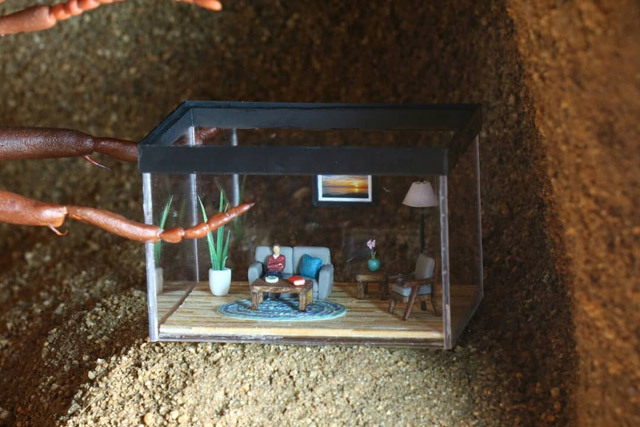 The fantastically detailed diorama depicts a giant ant looking in on its (understandably grumpy) human specimen, whose habitat is complete with nice furniture, a braided rug, plants, a book, and other creature comforts. 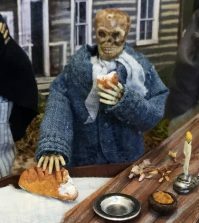 “Tap, Tap” is on Display now as part of the Badass Miniatures exhibition at D. Thomas Fine Miniatures Gallery of Small Art, where you’ll also find work by another of my favorite macabre miniature artists, Lee Harper’s History Bones. 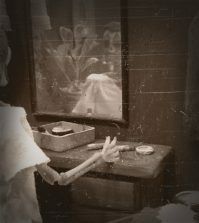 See more of Maria’s amazing work on her Instagram account.